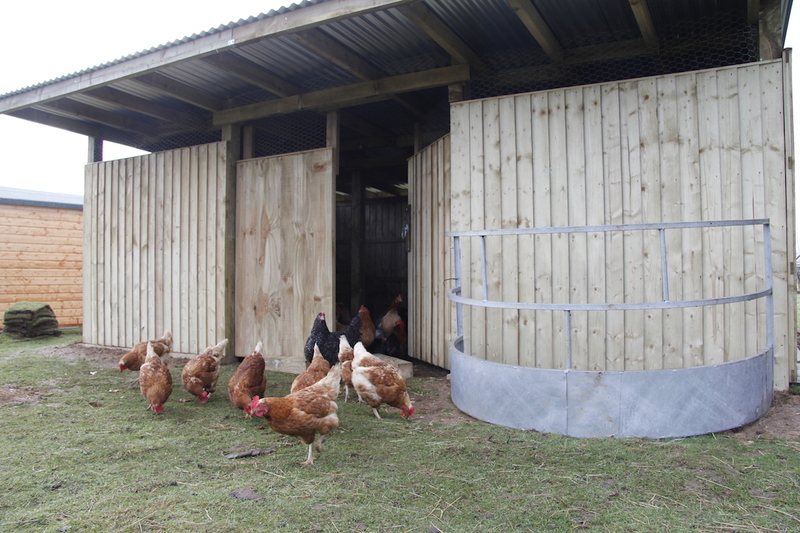 The new hen house is up and running. 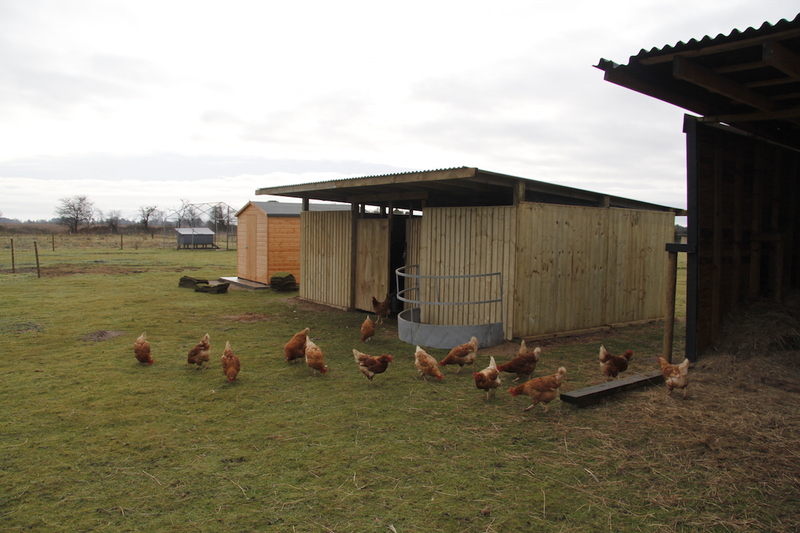 We have moved all the chickens to the smallholding and their new palatial surroundings. 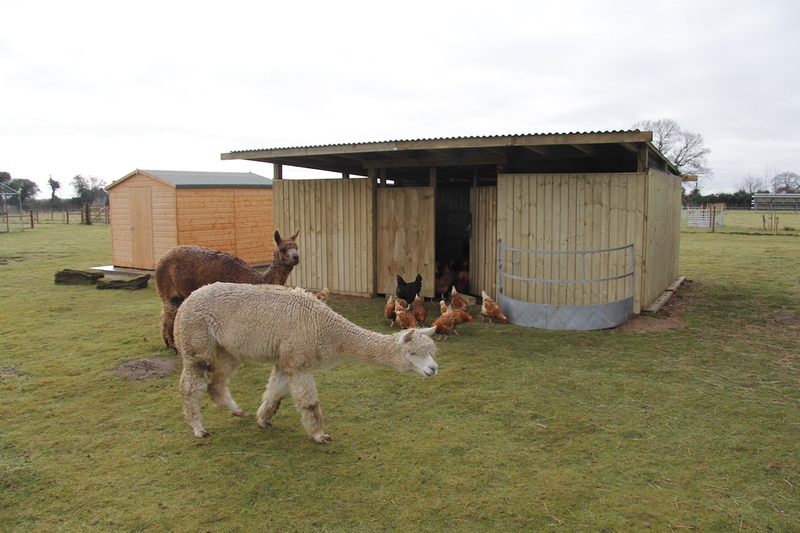 They seemed to like hanging out in the alpaca shelter so we designed the new house to be like this and built it next to the alpacas. James did build the perches to withstand a zombie apocalypse which is handy as if/when it happens we will have more pressing matters to attend to than rebuilding perches! 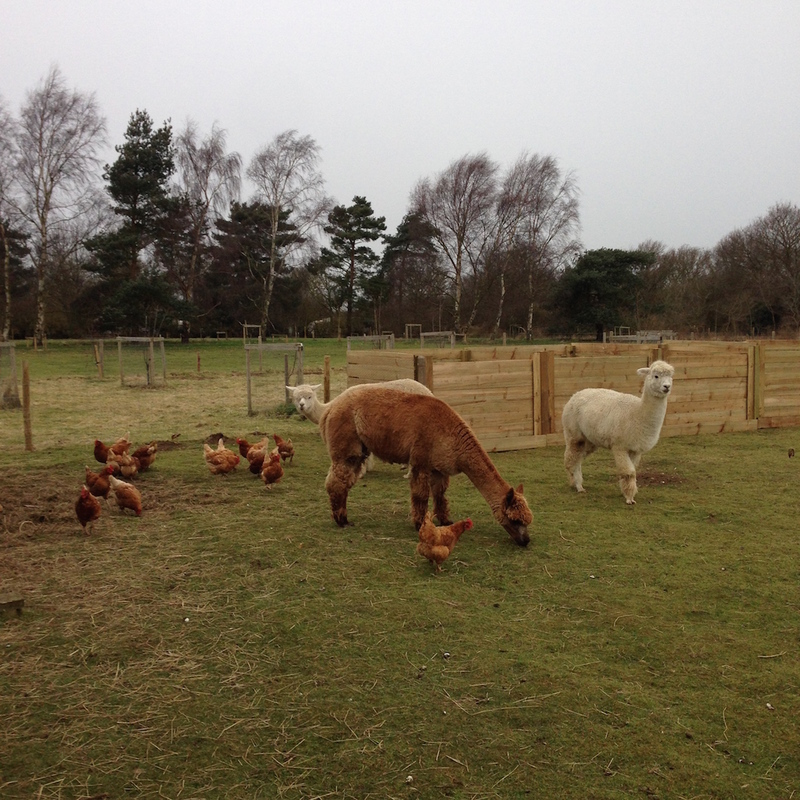 Of course they went straight for the alpaca shelter to lay their eggs! Wow! That looks amazing!! Love your alpacas too! Did you try the golf ball trick to try encourage them to lay where they are supposed to? Good news! 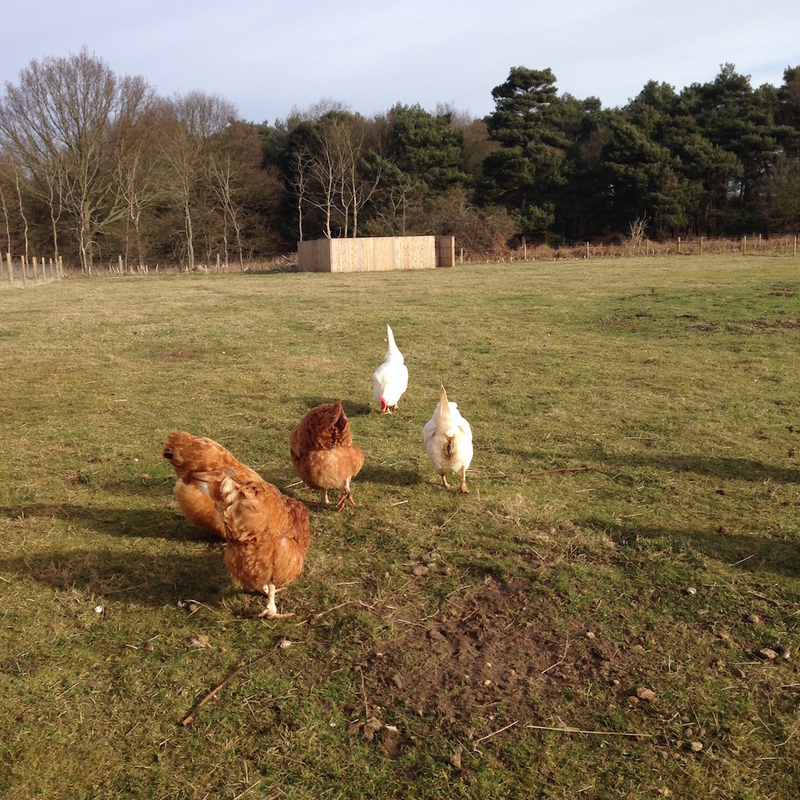 Got all of our signatures to have our own chickens!! I’m going in an hour to pick up the permit! So what breeds do you have, which ones do you like the most, any recommendations? 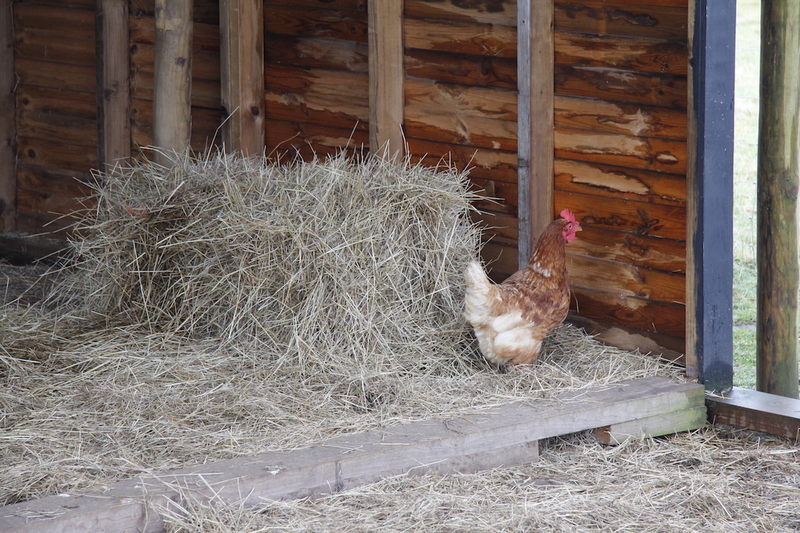 Since we are in the city we are hoping to find a nice quiet breed that’s a good egg layer. How exciting. 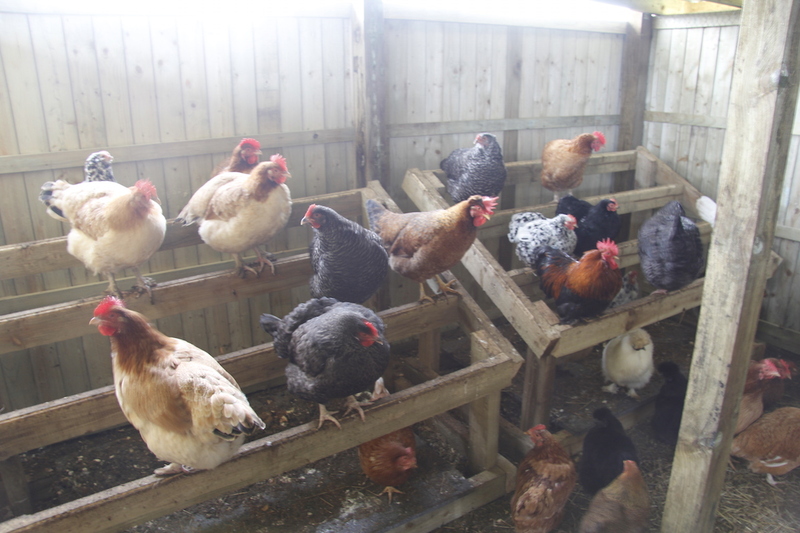 We have a mix of hybrids and pure breeds. 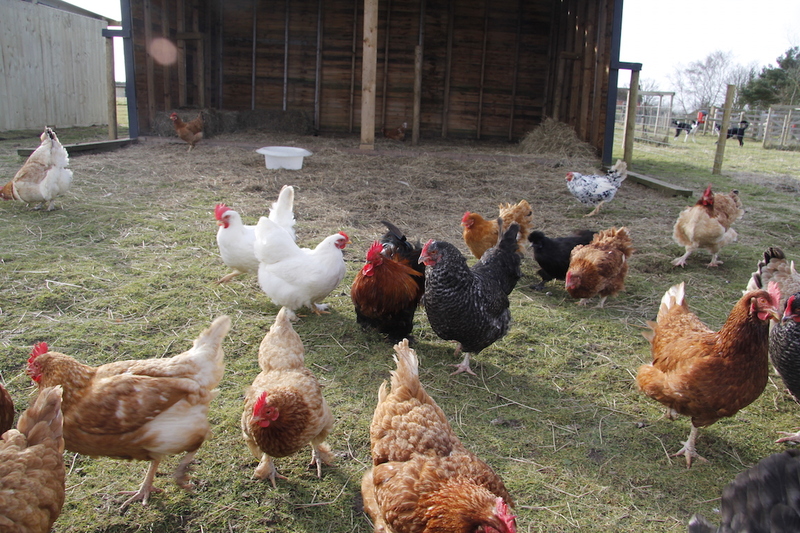 We have regular hybrids for light brown eggs (the workhorse of the chicken world) and some hybrids that lay white and green eggs. 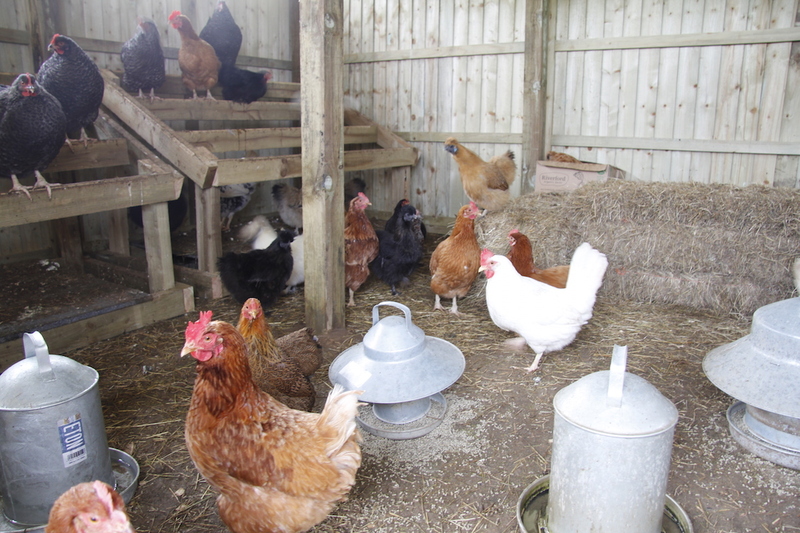 We also have bantams – silkies, pekins, barba d’uccles – these are cute (which is good for the site and the kids that visit) and they sit and hatch eggs well but they don’t lay much. 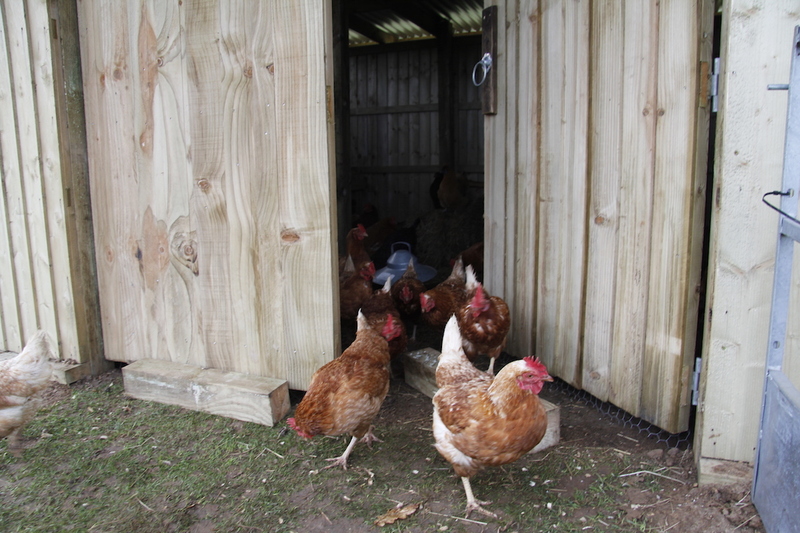 We also have marans – gorgeous dark brown eggs but erratic layers. 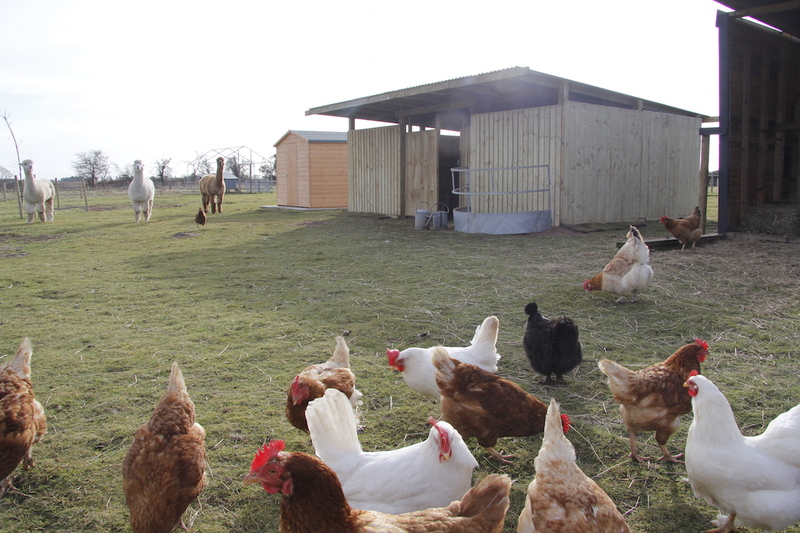 We have a dual meat/egg breed that I am experimenting with in the front garden – Ixworths – local breed from here. Depends what you want – hybrids are cheap to buy and lay well but don’t live for a huge amount of time – few years or so. Hybrids we got from one place were flighty and a bit weird – they ones we get now are super friendly – it sometimes matters the type of hybrid and where they are raised.